Two years of PM Groysman. How about the third one? The Prosecutor General's Office is no longer interested in the diploma of Prime Minister Groysman. The criminal proceedings opened in October 2017 on the alleged forgery of the document on education were closed by the investigator in March. However, those who want to remove Groysman from the office are still waiting for a positive result, although they have very little time for maneuvers. The General Prosecutor's Office opened a criminal investigation into the alleged falsification of the diploma by Volodymyr Groysman in October 2017. The reason for the opening of production was the statement of the people's deputy Vitaly Kupriy. However, according to the parliamentarian, the first statement he wrote back in 2016. According to the deputy, after a year of training, the prime minister received a diploma of a specialist degree, "whereas the law presumes that the diploma is issued after 5 years of training." "At that time, I immediately appealed to Prosecutor Viktor Shokin with the relevant statement of the crime, but I was denied opening criminal proceedings, then I decided to resume the fight for justice and again appealed to the Prosecutor General's Office, because Groysman continued to state that the official does not need higher education ", wrote the parliamentarian in the social media and added that he was surprised when the prosecutor's office started the investigation. However, the criminal case against the head of the government was closed after several months. The Prosecutor General's Office was told that it did not see anything unusual in the investigation of the case against the prime minister. Sources of 112.ua in the coalition factions note that the actualization of the case against the head of government is one of the reactions to his political ambitions. Many deputies and observers believe that the prime minister is too far from the president and is playing his own game, which sometimes runs counter to the game of Bankova. By the way, Groysman himself does not deny having presidential ambitions, declaring only that he "is not going to take part in the presidential elections of 2019". Groysman’s independence was manifest not just yesterday. So, before his transition to the premiership, he designated the appointment of loyal people in the Cabinet. Bankova and parliament gave way - people from Vinnytsia (Andriy Reva, Volodymyr Kistion, and Olexander Sayenko) became ministers. In March 2017, the Cabinet appointed Myroslav Prodan acting head of the State Fiscal Service close to the head of the government, and before that, after the resignation of the Minister of Agrarian Policy Taras Kutovy, his temporary replacement was Maksym Martynyuk, who is also considered close to the head of the government. Not all in the ruling elite liked the situation when Groysman dictated the conditions. Not everyone believes in Groysman's independence, indicating that the game of the head of government is the technology of the Presidential Administration, initially aimed at destroying the image of the prime minister as a submissive executor of the will of the head of state and his entourage. On the back of the parliament, rumors have been circulating that the PM is seen as a technical candidate in the presidential election. However, it is difficult to deny the very real conflicts of Groysman with the president's entourage. For example, in July 2017 the Verkhovna Rada failed the amendment of the people's deputies Andriy Teteruk and Artur Gerasimov about VAT refunds through the issuance of government bonds, as the People's Deputy Viktor Chumak assured, the first deputy chairman of the Petro Poroshenko Bloc faction Ihor Kononenko came to Groysman and said he, that he would later regret it. In the second half of 2017, Groysman was suspected in contacts with the "National Front." In November, the prime minister, who was formally nominated from the Petro Poroshenko Bloc, spoke of the political forces of ex-PM Arseniy Yatsenyuk. And although the head of the government did not receive the membership card of the National Front, he secured its support. According to unofficial information, Bankova invited the head of government before the elections to enter the single party of power and become its face. However, Groysman himself was dragging out time, exposing new conditions. In February this year, for the first time for Groysman's cadence, First Deputy Prime Minister Stepan Kubiv announced that the government has handed a report to the parliament. As you know, after consideration of the government's report, the question of distrust to the Cabinet might be raised (which in case of an effective vote entails its resignation). Petro Poroshenko Bloc prefers not to talk about it, but the political satellites of the power began to show anti-Groysman activity. 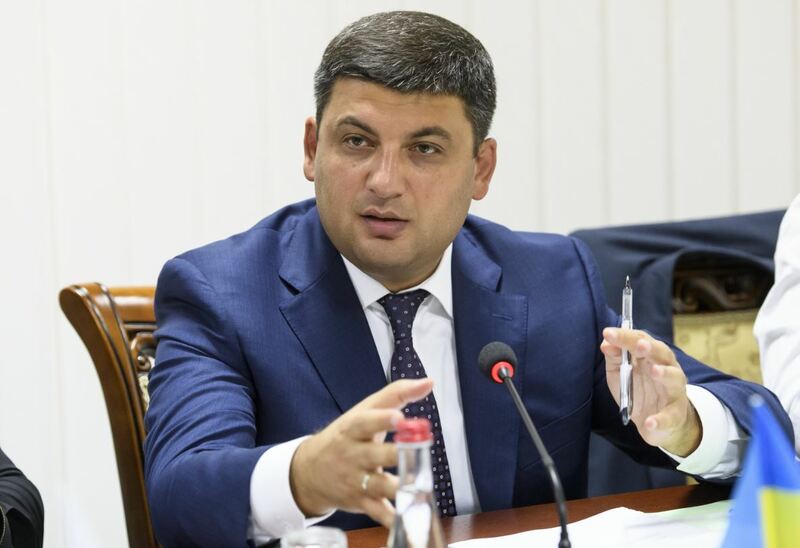 Today, "Nash Krai" has published "5 questions dedicated to Groysman’s premiership ", which requires the head of the Cabinet to explain why prices and tariffs are rising. The Cabinet is also pressed through demands to dismiss from office the acting Minister of Health Ulyana Suprun. Groysman dismisses these calls. Sources of 112.ua in Petro Poroshenko Bloc admit that lobbyists of early parliamentary elections will try to dismiss the head of government to send the Rada for early elections this year. However, according to sources 112.ua in the coalition factions, there are not enough votes for his resignation.